Toronto Dogs Directory: Is Facebook Giant Pet Pardons Stealing Donations? Is Facebook Giant Pet Pardons Stealing Donations? One of the larger animal advocate organizations in North America, Pet Pardons has been accused of stealing funds donated by caring individuals in the hopes of helping the rescue organization Operation Sled Dogs. According to the Operation Sled Dogs Facebook page, the whole debacle began when the group undertook a rescue of over 25 Huskies from a dog sledding company owner, who had originally planned to kill the dogs. Soon the organization was contacted by Jeromie Williams, director of Pet Pardons Canada, who offered to set up a ChipIn Page to collect donations for the effort. From this point, the mudslinging began. According to Operation Sled Dogs, the ChipIn account amassed thousands of dollars, none of which was forwarded to them. The organization contacted Mr. Williams and Chris Hoar, president of Pet Pardons, to inquire. For some time they did not receive a reply. To bring awareness to the situation, Operation Sled Dogs went public with the information via social networking, causing animal lovers to question the facts and the whereabouts of the donations. In addition, Operation Sled Dogs directed people who had donated to request a refund from Pet Pardons or Jeromie Williams. With this pressure Pet Pardons turned over some of the money, which was not completely acceptable to Operation Sled Dogs. 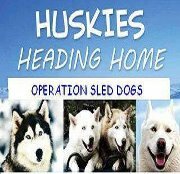 This is where things take a turn, the events not only hurting representatives of Operation Sled Dogs, but the rescued dogs as well. There began a war of words between the two organizations. On the one hand you had Operation Sled Dogs representatives admonishing Pet Pardons, refusing to stop until they received all of the donated funds. On the other, there seems to be a lack of a concrete response from either Mr. Hoar or Mr. Williams. From what I have read the actual responses provided by Mr. Williams came in the form of derogatory emails and one very threatening voicemail, in which the Pet Pardons Canadian director allegedly states, "...you're going down......I have your home address, I have your home phone number, I know exactly where you are." Eventually, it appears as though Mr. Williams finally agreed to give the rest of the funds to the rescue group, as he made the offer in the form of an ultimatum and told Operation Sled Dogs, "You have 48 hours." As it stands now, Operation Sled Dogs has still not received the balance of the funds, and Mr. Williams has taken to his blog accusing the organization of killing puppies. Remember this is an organization that in the end, Mr. Williams himself raised over $5000 for. What is Pet Pardons thinking? Through Facebook, the group has solicited thousands of dollars in donations, and this instance is not the first in which the group has been accused of stealing funds, nor is it the first time that Mr. Williams has been accused of threatening someone. Is Pet Pardons really in it for the animals? One can only hope, though with regard to this particular issue the organization has done nothing to prove otherwise. They have not offered a statement on their Facebook site, nor have they responded to my questions about the allegations. One would think that in an effort to placate any detractors, Mr. Hoar or Mr. Williams would offer a statement. One would also think that if indeed Mr. Williams did act in such a fashion, Pet Pardons would do everything in its power to distance itself from an employee who berates and threatens other animal rescue representatives. Why is the organization still working alongside an individual who has been accused of referring to someone's children as "faggy"? Above all, why is an organization that purports to HELP ANIMALS working alongside an individual who allegedly threatened to HARM A DOG? Perhaps as some have said, Pet Pardons is in cahoots with a small number of nearby rescue organizations and are simply stealing from well intentioned people. Perhaps Pet Pardons is simply sitting back as more publicity is drawn to their organization. Perhaps this is all blown out of proportion and a select group of people have an axe to grind with Mr. Hoar and/or Mr. Williams. It certainly does not appear to be the case, as many detractors have stated that they were only brought together through research and discovered the only thing they have in common is being wronged by Pet Pardons, Chris Hoar, Jeromie Williams, or all three. All I know is in the meantime, animals are suffering and money that could help them is being withheld. Why is it that whenever one of these issues come up, while people exert much of their efforts to slander and accuse, those who can not do so are suffering? I look forward to any responses from Mr. Hoar or Mr. Williams, and of course will post their responses once I receive them. I have also received no statement from any representative of Operation Sled Dogs. I will post any such response as well. Operation Sled Dogs is currently in negotiations with Mr. Hoar and his attorney. Out of respect for Mr. Hoar as well as OSD's desire to move past this unfortunate situation, we are unable to comment further at this time. OSD will certainly make public the outcome of these negotiations, in consideration of our many supporters, donors and most importantly the dogs involved in our current and future efforts.